Lately I've been wondering is it ever okay to quit or give up? Yes I know one should try and try and I'm the first one to preach that but is there ever a point when it's time to let go? If you follow me on Twitter, you would probably understand where I'm coming from. 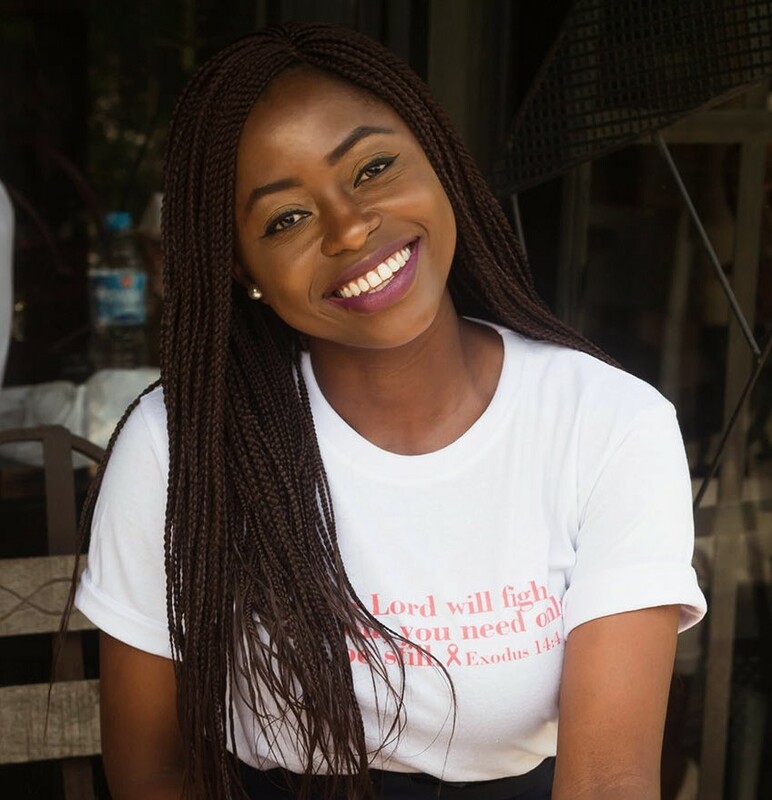 As mentioned in my last post, your girl is getting older hence I've been thinking a lot about my future goals as I re-access some of my lifestyle choices. Certain things have either got to give or just go but let's save that for another day shall we? Shout to all of you who gave some awesome advice by the way, thank you. Lets talk about this fit! 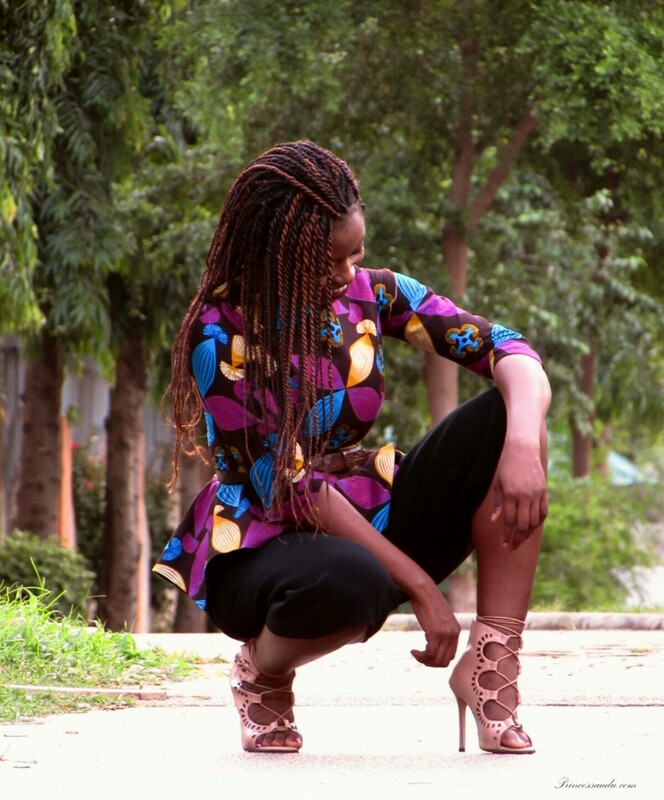 Ankara is so beautiful, I can't help but love my African prints. 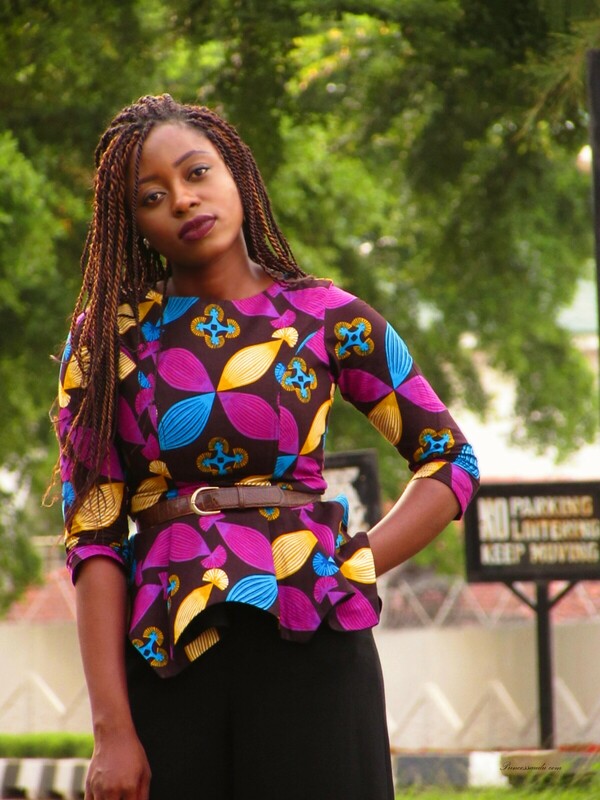 And today, taking a hint from some of my favorite blogger in this post, I decided to style this lovely Ankara peplum top from Native and Sewn, a made in Nigeria brand all the way from Aba, Abia State (Yas). Now as much as Ankara is beautiful and so lovely when styled, finding that perfect tailor who both delivers on time and understands you is no easy feat. 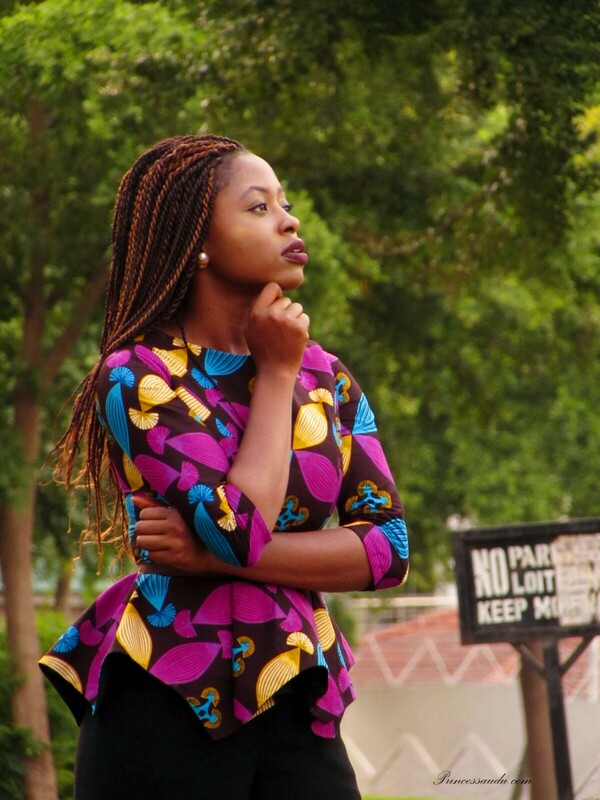 We've all had our fair share of Nigerian tailor horror stories I believe, I shared some of mine here. 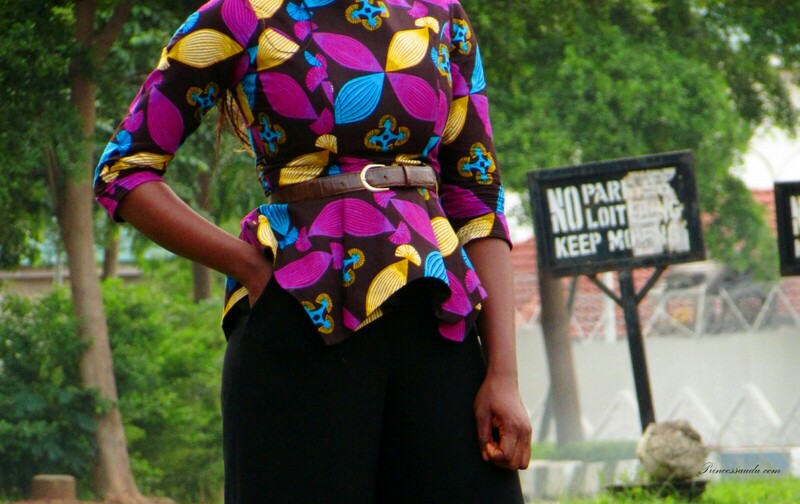 However, the lovely people at Native and Sewn delivered with this cute Ankara peplum top. Amazing job, one of the best I've seen. The top came nicely wrapped in a package in a tote bag. Thanks to less stress, more sleep and food I managed to gain weight within the time the order was placed and the time I received it. Hence this top is too fitted, it was even a struggle putting it on lol, my baby sis who helped out asked me, "what are you eating?" So neat and professionally done, no loose threads hanging, I was impressed. The order took about three weeks including the shipping time which is quite okay seeing the quality. Also I believe they had a little hitch along the way which was one of the reasons for the slight delay. They ship Nationwide and Worldwide! Native and Sewn also delivers customer orders and fabrics on request. For example if you want a specific style in a certain fabric, they have got you covered. They cater to both Men and Women's wear. Great customer service too! A bit on the high side to be honest but they deliver so it won't be a waste. 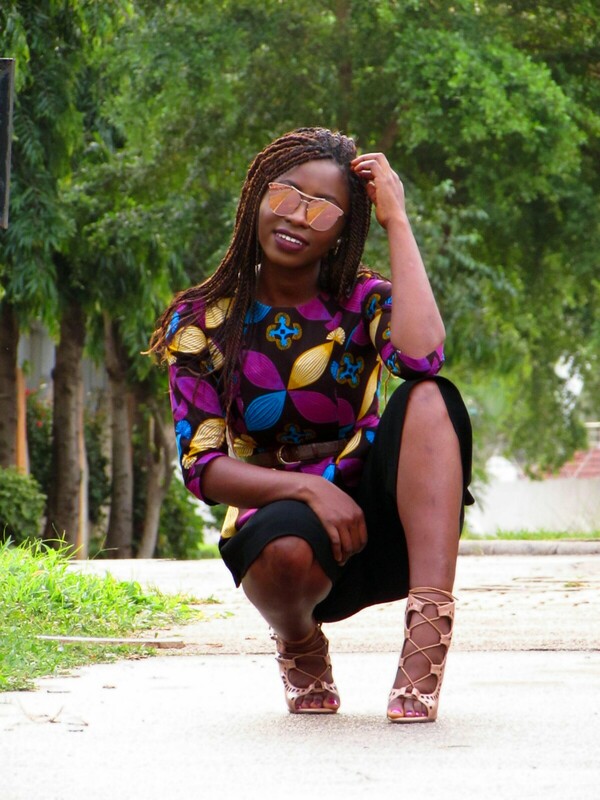 In styling, I wanted a not so cliched way of rocking this top as ankara peplum tops are often styled with jeans which can be quite boring at time. Hence I paired it with my favorite black culottes styled (here, here and here). I initially considered layering a shirt underneath but with no room to even breath thanks to the extra weight, that was impossible. I think this would make a great work look with pumps, you ? In the future, I'd probably layer a shirt underneath or pair it with either a skater skirt or peplum hem skirt so stay tuned! Would I recommend this brand? Of course! so check them out if you're ever looking for a faithful Nigerian tailor. Plus you also get to support a "Made in Nigeria" product. If you're a brand and would like to work with you're girl, shoot me an email at . We can definitely work something out. How would you have styled this top differently? What factors do you consider when looking for a tailor? What are your thoughts on quitting, is it ever okay? Amen dear, I'm working to keep going while trusting him. Glad I'm not alone and thank you for stopping by. I love how colourful the top is. And you styled it with culottes 👏👏👏, that's creativity. Great job Sarah. I love the shade and shoes too but you'll never find me heels that high. I'll be shaking like a leaf lol. Yay thank you, tried to change it up so its nice to get your awesome feedback. I love the colours of the top too. Lol mastering the art of walking with heals comes with a lot of practice. I may come back to respond to the first and second paragraphs in this post. This is a very nice top and I love how to reviewed the services rendered by the brand! Just here picturing how loving it will be with a white pencil skirt. Tailor hunt kills me! This is why I am hardly ever on tailored outfits, however, I hope to find a good one when I am back to Nigeria. I hope you do because your comments are always so insightful. The brand is worth it Si thank you. And I initially considered pairing the top with white trousers so I'm sure that white skirt would be perfect. We can all relate girl but I hope you find one too but learning how to sew seems to be the new way honestly. The print of the shirt is so pretty and i like how the peplum part falls. This just reminded me bout the tailor i gave my cloth almost 2 months now amd have not seen her literally.. I also love how the peplum falls too, one of NY attractions to the top actually. Chai that your tailor had better have a good excuse, you can imagine set #smh. 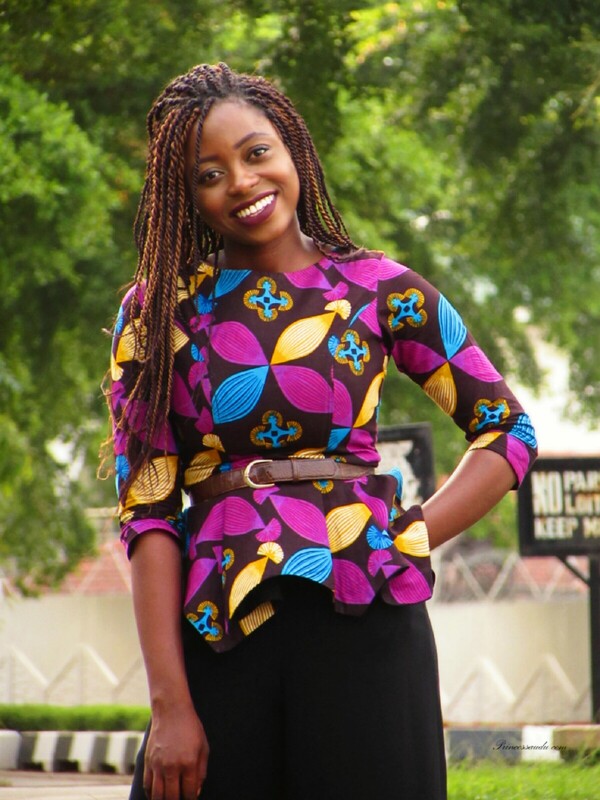 wow, real nice and pretty ankara peplum top, how does one connect to Native and Sewn? I'd like to have something done by them and possibly feature it on my blog.